W2 perforated forms are only supported for QuickBooks versions 2016 and later. QuickBooks Desktop with Assisted Payroll has two W2 print options. Intuit paid option where Intuit will prepare your employee’s W2s, file them with the government agencies, and send via US mail directly to your employees. With this option, you do not need to order W2 forms. 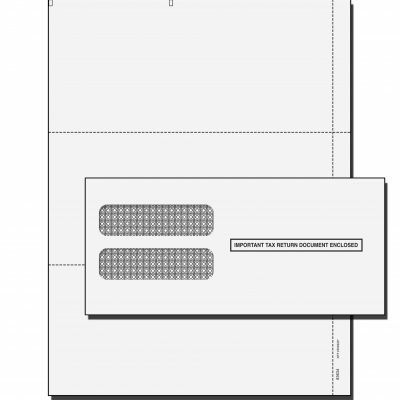 A Self-Print option requiring printing W2 forms on 8 by 11-inch paper, which has 4 sections. These forms must be purchased from Intuit directly. W2 Forms from QBalance.com are not compatible with QuickBooks Mac. Full Service payroll versions do all necessary preparation, printing and sending of W2s to employees. There is no need for you to purchase forms. Where do your employees live? Check each box if you have employees that live in one of the groups of states. Employees who reside in AL, DE, KY, NY, MI, MO, OH, or PA may have to pay City Income tax and will need W2 4UP Blank Perforated forms instead. Employees who reside in AK, AZ, CA, CO, CT, DC, DE, FL, GA, HI, IA, ID, IL, IN, KY, LA, MD, ME, MA, MN, MS, MT, NC, ND, NE, NH, NJ, NM, NV, OK, OR, SC, SD, TN, TX, UT, VA, VT, WA, WI, WV, or WY do not have to pay City Income tax and will need W2 3 UP Blank Perforated forms instead. Which payroll user type do you use? Intuit Online Payroll Accountant version only needs a single 4 down sheet per employee. Please purchase W2 4 Down Tax Forms instead. All orders placed by 1 PM EST will ship next day (during Jan-Feb). - We have knowledgeable staff on hand to assist you should you need it. 1 perforated W2 Sheet per employee with preprinted employee instructions. W3 forms and Copy 1 are printed on Blank White Paper Stock. 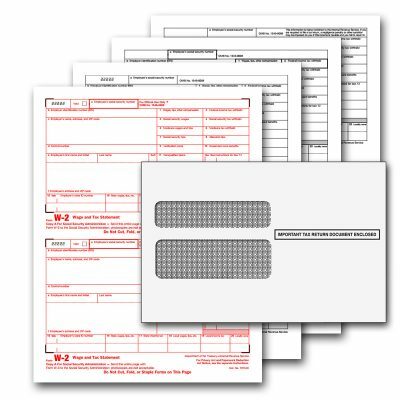 W2 blank perforated forms are used by both Employer and Employee to report wages to the appropriate Federal, State, and local agencies. 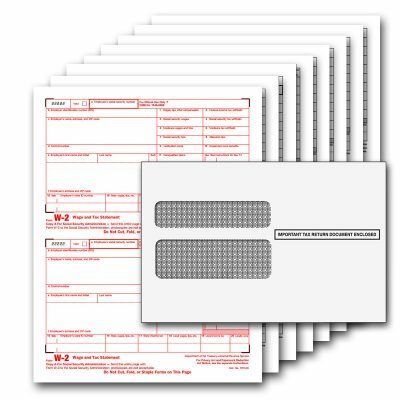 W2 Double 4Down Blank perforated forms have three horizontal perforations that split the sheet into 4 forms going down the sheet and are compatible with QuickBooks Online payroll with matching envelopes. W2 forms are not available for QuickBooks Mac and Assisted Payroll customers. Please look to Intuit for your tax forms. Orders under 200 forms shipped priority mail (delivers to most locations within 2-3 days). Orders over 200 forms are shipped UPS. 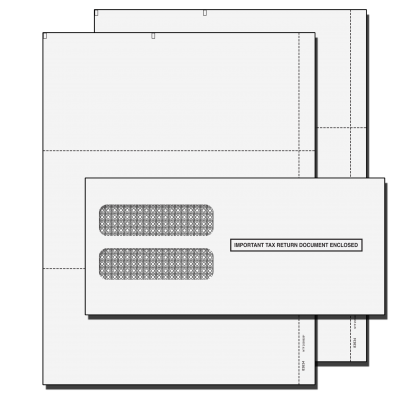 W2 blank perforated forms have detailed instructions for employee/employer use printed on the back. Accounting and Bookkeeping firms: Please telephone in your order, if you would like to receive forms without employee instructions on reverse side. 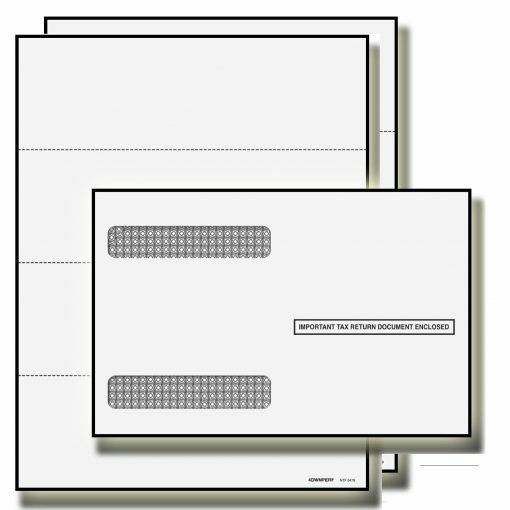 Blank Perforated forms can be printed on either inkjet or laser printers. When ordering Blank Perforated W2’s, it is government approved to print your W2 Copy A and W3 on regular copy paper. When using W2 Blank Perforated forms, print government-accepted black and white W2 tax form Copy A and W3 forms on regular copy paper. Check back at our website in December (link included in order confirmation email) for our free guide to W2’s.